Alpine-themed durable BPA-free 25 oz. Aluminum sports bottle is safe and stylish. 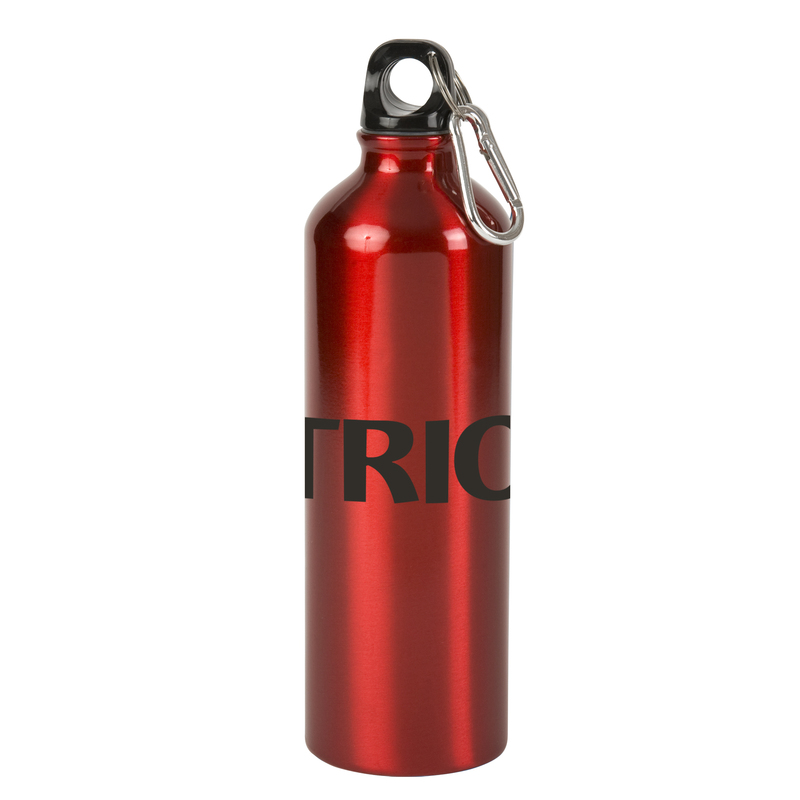 Features a black leak-proof screw-down lid with mini metal carabiner attached. Do not microwave. Not dishwasher safe. Hand wash only.